MainOne has provided internet connectivity to participants at Social Media Week Lagos as the exclusive technology partner, through its provision of Wireless Fidelity (Wi-Fi) access, reports ITRealms. This connectivity, ITRealms gathered is the third consecutive year, the West Africa’s leading connectivity and data center solutions company is partnering Social Media Week. MainOne also said that the partnership targeted at delivering true value to the organizers and event guests was designed and installed an advanced managed Wi-Fi solution at the event venue, providing up to 1Gbps data capacity unhindered and free to users throughout the facility and for dedicated livestreaming of the event. Attendees at the event leveraged MainOne’s unlimited access to the Internet during the event and took advantage of the opportunity to freely browse the Internet and engage on social media platforms. The organizers of the event also used the unlimited capacity to provide livestreaming to thousands of participants not physically present at the event. Speaking during the sidelines of the event, Head of Marketing at MainOne, Tayo Ashiru described the event as an industry platform to help people and businesses connect and share trends, ideas and inspiration focused on improving better efficiency in a hyper-connected world. He revealed that the company’s continuous support for Social Media Week Lagos, underscores its belief that with the right connections, businesses can be catalyzed and industries are transformed with huge benefits for the economy. 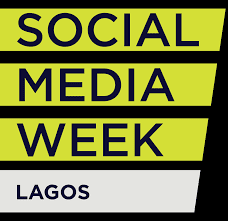 The Social Media Week Lagos is Africa’s largest tech and digital media event and usually convenes business leaders, global thinkers, entrepreneurs, Fintech firms, and media entrepreneurs.